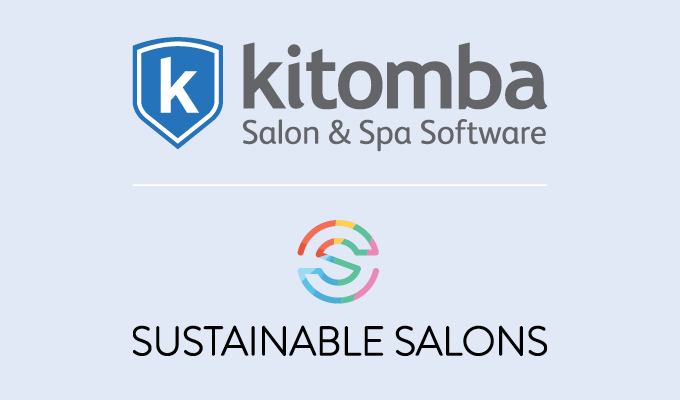 Why partner with Sustainable Salons? First and foremost it’s important to us to be able to support our customers and their clients sustainability journey. We’ve championed sustainability since 2013 by introducing Sustainable Salon of the Year to The Industry Awards. We’ve also developed features focused on enabling our customers to go paperless. For example, the Give to Client feature, Targets, send appointment details and the Daily Appointment List. Additionally we just released an automatic Sustainable Salons fee feature that adds a $2 fee to each invoice. Sustainability will also continue to be a front of mind as we work with our customers and develop Kitomba in the future, and by partnering with Sustainable Salons we believe it’s going to help us achieve this. Sustainable Salons rescues up to 95% of salon resources from landfill and finds repurposing solutions that benefit the planet, all while support the community. For Sustainable Salons, sustainability is not just about environmental impact – it’s about so much more! Investing in the viability of the salon business, providing for the local people, inspiring the next generation and driving global awareness. These are all factors that contribute to sustainability and healthy people, planet and profit. Are you interested in joining the Sustainable Salons program? Sustainable Salons operates in New Zealand and Australia. Register your details here and the Sustainable Salons Manager in your area will be in touch to discuss how you can join the journey to zero waste!